On August 18, 2018, Marriott launched one loyalty program with unified benefits under its three legacy loyalty brands -- Marriott Rewards, The Ritz-Carlton Rewards and SPG. On February 13, the combined program completes its integration under one name, Marriott Bonvoy. Marriott Bonvoy (MeetMarriottBonvoy.marriott.com) is the company’s new travel program built on the belief that travel enriches its members and the world around them. Launching in February 2019, Marriott Bonvoy replaces Marriott Rewards, The Ritz-Carlton Rewards and Starwood Preferred Guest (SPG). Comprised of a portfolio of extraordinary brands where you can earn and redeem, as well as offering approximately 120,000 destination tours and adventures on Marriott Bonvoy Moments, the travel program enables members to explore the world in pursuit of their passions. Under Marriott Bonvoy’s five Elite tiers, status is more achievable than ever. With a single currency, earning and redeeming points is faster and simpler, and members can accelerate the points they earn with Marriott Bonvoy co-branded credit card from Emirates NBD and Mastercard® in the UAE. When members book direct on Marriott.com they receive all the perks that come with Elite status, including, free and enhanced Wi-Fi and exclusive member-only rates, and on the Marriott app they enjoy mobile check-in and checkout, Mobile Requests and, wherever available, Mobile Key. In addition to featuring a powerful travel program, Marriott.com also offers 30 extraordinary brands to book, endless experiences and the best available rates. To enroll for free or for more information about Marriott Bonvoy, visit MeetMarriottBonvoy.marriott.com. To download the Marriott app, go here (https://bit.ly/1pLWqG9). Travelers can also connect with Marriott Bonvoy on Facebook (https://bit.ly/2TSZQLb), Twitter (https://bit.ly/2SWnFBR) and Instagram (https://bit.ly/2RvhCaD). Marriott Bonvoy will usher in a new mobile experience. Members using either the SPG or The Ritz-Carlton Rewards apps are encouraged to download the current Marriott app now which will automatically update to become the Marriott Bonvoy app on February 13. The SPG and The Ritz-Carlton Rewards apps will be deactivated on that date. 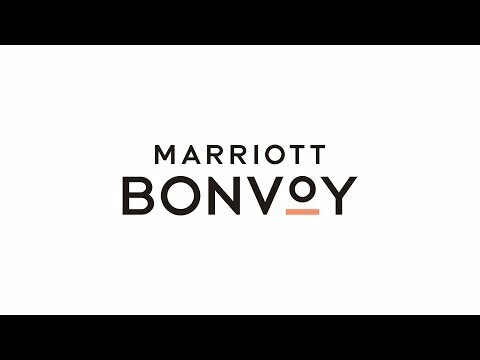 Members can learn more about Marriott Bonvoy at MeetMarriottBonvoy.marriott.com where they also can watch a short video describing the new brand. To download the media kit including images and video, please click here (https://bit.ly/2RAF0nm). To learn more about the loyalty program benefits, please visit www.Marriott.com. Distributed by APO Group on behalf of Marriott International, Inc..